The Mil Mi-17 (also known as the Mi-8M series in Russian service, NATO reporting name "Hip") is a Russian-designed helicopter currently in production at two factories in Kazan and Ulan-Ude. Mil Mi-8/17 is a medium twin-turbine transport helicopter that can also act as a gunship. 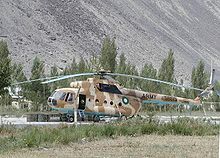 The Soviet Union specifically designed the Mi-17 for the Soviet war in Afghanistan. Developed from the basic Mi-8 airframe, the Mi-17 was fitted with the larger TV3-117MT engines, rotors, and transmission developed for the Mi-14, along with fuselage improvements for heavier loads. Optional engines for 'hot and high' conditions are the 1545 kW (2070 shp) Isotov TV3-117VM. Recent exports to China and Venezuela for use in high mountains have the new VK-2500 version of the engine with FADEC control. 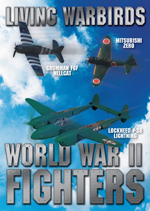 Actual model numbers vary by builder, engine type, and other options. As an example, the sixteen new Ulan Ude built machines delivered to the Czech Air Force in 2005 with -VM model engines were designated as Mi-171Sh, a development of the Mi-8AMTSh. Modifications include a new large door on the right side, improved Czech-built APU, Kevlar armor plates around the cockpit area and engines. Eight have a loading ramp in place of the usual clamshell doors, and will load a vehicle up to the size of an SUV. Picture - Two Egyptian Mi-17 helicopters after unloading troops during an exercise. In October 2007 defense-aerospace.com reported the government of Saudi Arabia had signed a contract for up to 150 Mi-35 and Mi-17 helicopters worth $2.2billion. In May 2008 licensed production of the Mi-17 started in China, with production being led by Mil Moscow Helicopter Plant JSC and the Sichuan Lantian Helicopter Company Limited in Chengdu, Sichuan province. The plant built 20 helicopters in 2008, using Russian Ulan-Ude-supplied kits; production is expected to reach 80 helicopters per year eventually. The variants to be built by Lantian will include Mi-171, Mi-17V5, and Mi-17V7. Picture - Afghan National Air Corps Mi-17s take off in a formation. The Mi-17 was used extensively by the Sri Lanka Air Force in the Sri Lankan Civil War. 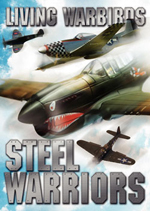 Seven of them were lost in combat and attacks on airports. The Mi-17 was used by the Colombian Army in Operation Jaque. 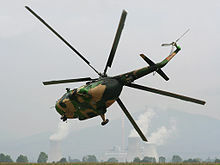 In 2001, the Macedonian Air Force used the Mi-17 against Albanian insurgents. 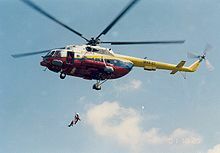 The Mi-17 is also used by search and rescue teams such as the Malaysian Fire and Rescue Department. Executive Outcomes used them extensively in its operations in the Angolan Civil War. The Mexican Navy utilizes their Mi-17s for anti-narcotic operations such as locating marijuana fields and dispatching marines to eradicate the plantations. The Slovakian forces operate Mi-17s in Kosovo as part of KFOR. On 28 October 2008 the Royal Thai Army announced a deal to buy 6 Mi-17s to meet its requirement for a medium-lift helicopter. This is the first time the Thai military has acquired Russian aircraft instead of American. Flight International quotes the Thai army’s rationale: "We are buying three Mi-17 helicopters for the price of one Black Hawk. The Mi-17 can also carry more than 30 troops, while the Black Hawk could carry only 13 soldiers. These were the key factors behind the decision." On 15 December 2008, it was reported that India would purchase 80 Mi-17IV helicopters, which would be delivered to the Indian Air Force between 2010 and 2014 to replace aging Mi-8s. An order for a further 59 was placed in August 2010. Picture - Macedonian Air Force Mi-17 performing a very tight low-level right turn. The power plant REK Bitola can be seen in the background. On 10 July 2009, it was announced that Chile would pursue talks with Russia to purchase five Mi-17 multi-role helicopters for the Chilean Air Force, despite pressure from the United States. On 16 September 2009, US Navy's Navair delivered the last two of four Mi-17s to the Afghan National Army Air Corps. On 19 June 2010, it was announced that the US government would buy and refurbish 31 Mi-17 helicopters from Russia to supply the Afghan Army. The US is reportedly considering adding the helicopter to the US military for Special Forces use in order to obscure troop movements. The US uses some Mi-8s and Mi-17s for training, and has purchased units for allies in Iraq, Afghanistan and Pakistan. In August 2010 a contract was signed by the Argentine Air Force for two Mi-17Es, plus an option on a further three, to support Antarctic bases. In September 2010, the Polish Defense Minister announced that his country would buy 5 brand new Mi-17 from Russia, to support Polish operations in Afghanistan. In 2010, the Kenya Air Force purchased 3 Mi-171 Hips as medium-lift helicopters to supplement its aging fleet of IAR 300 PUMAS which had been flying for more than 20yrs. Picture - US Army's 14th Cavalry Regiment soldiers prepare to rendezvous with Indian Army troops after exiting an Mi-17 helicopter flown by the 107th Indian Army Aviation Helicopter Unit. Slightly modified version of Kazan's Mi-8MTV, built in Ulan-Ude from 1991 and still powered by TV3-117VM engines although nowadays VK-2500 engines are optional. Also known as Mi-171. Basic updated version of the Mi-8T, powered by two 1,397 kW (1,874 hp) Klimov TV3-117MT turboshaft engines. Provision for twin or triple external stores racks. The export version is known as Mi-17. Hot and High version, powered by two Klimov TV3-117VM high-altitude turboshaft engines. This type has a maximum ceiling of 6,000 m.
Radar-equipped civil version of the Mi-8MTV. Russian designation of the Mi-17-1V. Improved version of the MTV-1 with enhanced armour, updated systems, an anti-torque rotor and accommodation for 30 instead of 24 troops. Military version of the Mi-8MTV-2, fitted with four instead of six weapons pylons, but the number of possible external stores combinations was increased from 8 to 24. Military utility transport helicopter, powered by two Klimov TV3-117VM turboshaft engines and equipped with a loading ramp instead of the clam-shell doors, an additional door and a new "dolphin nose". Civilian version of the Mi-8MTV-5. Night attack conversion of the Mi-8MT and Mi-8MTV helicopters. Known in Belarus as Mi-8MTKO1. Electronic jamming version of the Mi-8MT. Electronic jamming version of the Mi-8MT with "Gardenya-1FVE" single H/I-band jamming system. Export designation Mi-17PG. Electronic jamming version of the Mi-8MT with "Ikebana" single D-band jamming system. Also known as Mi-13, export designation Mi-17PI. Electronic jamming version of the Mi-8MT with "Bizon" jamming system. Export designation Mi-17PP. Electronic jamming version of the Mi-8MT with "Shakhta" jamming system. Export designation Mi-17PSh. Sigint version of the Mi-8MT. VIP version. Sub-variants are Mi-8MSO and Mi-8MSD. Improved version of the Mi-8, powered by two Klimov TV3-117MT turboshaft engines. Basic production version. High altitude operations version, powered by two Klimov TV3-117VM turboshaft engines. Military transport, helicopter gunship version, powered by two Klimov TV3-117VM turboshaft engines. Export version of the Mi-8MTV-1. Export version of the Mi-8MTV-3. Demonstration model from 1993, served as the basis for the Mi-17MD (nowadays known as Mi-17V-5). Initial designator of the Mi-17V-5, developed in 1995 and from 1996 fitted with a loading ramp. Export version fitted with new avionics. Export version of the Mi-8MTKO with GOES-321M turret with LLLTV and FLIR. Export version, passenger transport helicopter. Export version of the Mi-8MTG. Export version of the Mi-8MTI. Export version of the Mi-8MTPB. Little-known SAR and medevac version given to Poland. Specialised version for the SAR units (Leteckej Px¡tracej a Zx¡chrannej SluÅ¾by) of Slovakia. Four ordered. Czech electronic warfare version with two large canisters on each side. Prototype design, a modification of the existing Mil Mi-8. Two Mi-8s were extended by 0.9 meters (3 ft), the landing gear made retractable, and a sliding door added to the starboard side of the fuselage. 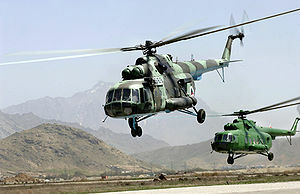 The Mi-18s were used in the Soviet invasion of Afghanistan, and later used as static training airframes for pilots of the Mi-8/8MT. Airborne command post version for tank and motorized infantry commanders (based on Mi-8MT/Mi-17 airframe). Airborne command post version similar to Mi-19 for commanders of rocket artillery (based on Mi-8MT/Mi-17 airframe). Export version of the Mi-8AMT, built in Ulan-Ude. 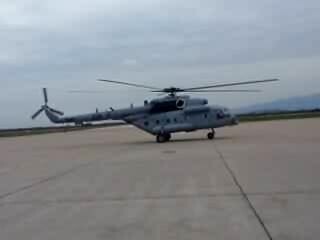 Chinese built variant of Mi-171 by Sichuan Lantian Helicopter Company Limited. Export version of the Mi-8AMTSh. Picture - A Mexican Navy Mi-17 helicopter stands by for passengers on the flight deck aboard the amphibious assault ship USS Bataan (LHD 5), off the coast of Mississippi. Civil passenger version manufactured in Kazan plant and based on the Mi-8MTV-3. In late July 2005, Garang died after the Ugandan presidential Mi-172 helicopter he was flying in crashed. He had been returning from a meeting in Rwakitura with long-time ally President Yoweri Museveni of Uganda. On 31 May 2008 a People's Liberation Army Mi-171 transport crashed in southwest Sichuan provinces with 14 onboard. It was operating mission during 2008 Sichuan earthquake. On 19 November 2010 an Indian Air Force Mi-17 helicopter crashed near Tawang in Arunachal Pradesh, killing all 12 people on board. It had taken off from Tawang for Guwahati, and crashed about five minutes later at Bomdir. Though not confirmed, the reason is believed to be pilot error, in that, the pilots took off in less than 50 meters visibility. Capacity: 30 troops or 12 stretchers or 4,000 kg (8,820 lb) cargo internally /5,000 kg (11,023 lb) externally slung. up to 1,500 kg (3,300 lb) of disposable stores on six hardpoints, including bombs, rockets, and gunpods. Jackson, Paul (2003). 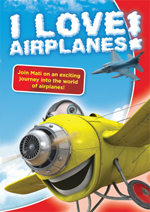 Jane's All The World's Aircraft 2003-2004. Coulsdon, UK: Jane's Information Group. 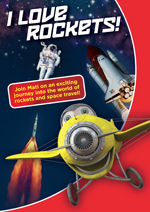 ISBN 0-7106-2537-5.